Bubble Bonanza - Play Online - Casino Answers! Online casino gaming is becoming a popular trend. This is because online gaming offers players the ability to play with virtual slot machines that have incredible graphics and animations in the comfort of their own home as well as enjoy the winnings that come with it. 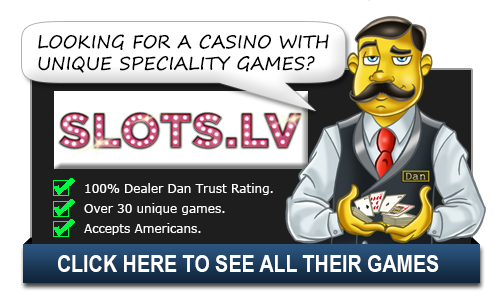 Players can now enjoy casino games without the inconvenience of having to go to a casino. One of the rising online casino video slots is the Bubble Bonanza. It is an online game with a unique, fresh and modern design. The game has incredible sound effects and eye-catching animation which makes it popular among players from different parts of the world. Bubble Bonanza is not a complicated game; all the player has to do is align three or more symbols in a row to win. The theme of the game is based on alien creatures that are attacking earth in the streets, in the beach area and in the highways. It is up to the player to stop the invasion by using the jet shooter. By using the paint gun appropriately, the player can burst the bubbles from the highways or wherever they are to prevent an invasion. When the bubble creatures that are causing the invasion are smashed, the player gets a chance to be the lucky winner of a jackpot. The canon bonus also offers a chance for the player to win big. Bubble Bonanza is designed to make the player to be continuously be interested in the game. The thrill that comes with being the saviour of the world is enough to keep the player playing. The bubble creatures are attacking the earth at a high speed and the player’s ability to wipe them out quickly and in a smart way is necessary to keep them at bay. The features of the game from the animation to the sound effects also play a role in making the game exciting. The game is gradually becoming popular among online players not only for the above reasons but also because of the opportunity to win big prizes on the jackpot. Bubble Bonanza is not the normal type of online video slot that players are used to. It has 6 reels across and 6 down. The images presented are a yellow circle, a green triangle, a half moon that is purple in color, a blue star, an orange ball and a red square. A bonus symbol is also present. A rainbow appears behind the sparkling symbols as the reels become empty. The symbols appear from the bottom going up. To win, the player has to match three or more symbols either vertically or horizontally. The game comes to an end when a symbol lands on the bottom row. When three or more bonus symbols appear on the reel, it activates the cannon bonus. This enables the player to fire 8 bubbles from the cannon in any given direction and when a player matches 3 symbols a prize is won. The player’s winnings are then multiplied by ten.